Yum! 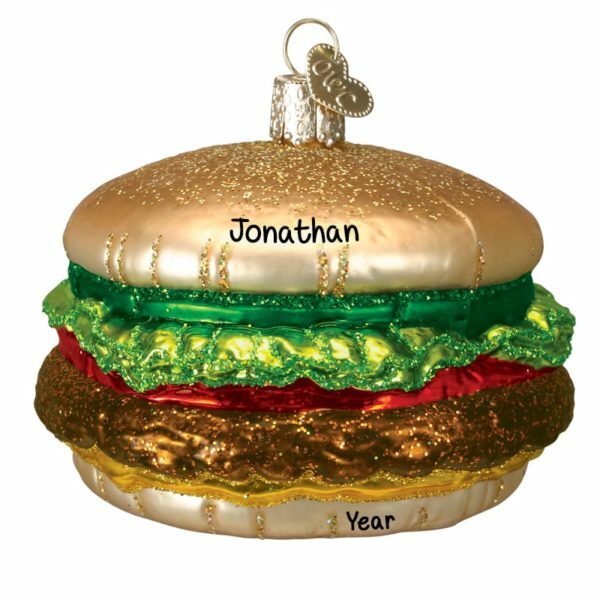 Celebrate your favorite cheeseburger enthusiast with our Cheeseburger Glass Glittered Totally Dimensional Ornament! Whether this person is an avid griller or just loves the taste of a warm, gooey cheeseburger complete with all the fixins, let us add a name and year for free!